Kara Hamm, 2, was born with congenital diaphragmatic hernia and underwent a life-saving surgery. Kara Hamm — now two-years-old — was born with a hole in her diaphragm, the muscle that separates the lungs from the abdomen. This hole interfered in the diaphragm’s crucial role of helping the lungs to inflate for breathing. It also allowed Kara’s internal organs to shift upwards and push aside her already abnormally developed lungs. Keijzer says Kara, and other babies born like her, inspire him to begin his research on congenital diaphragmatic hernia (CDH). The Lung Association, with its amazing supporters, have helped fund this much needed research. With about 150 children born worldwide with CDH every day, it’s almost as common as cyctic fibrosis. “We knew that Kara would be born with this illness because it showed up on ultrasounds during her mother’s pregnancy,” said Keijzer in a personal letter to supporters of The Lung Association. “We also know she’d be born with serious complications, like pulmonary hypertension, and would need ventilators to breathe. “After her birth, it was several days before Kara stabilized and we were able to operate to close the hole. Her parents, Holly and Cody, didn’t even know if they’d get to bring Kara home because CDH has claimed more than 300,000 lives since the year 2000. Now, as Keijzer points out, if researchers can learn how this abnormal lung development happens, there would be no need for doctors to perform complicated surgeries on vulnerable babies. That is exactly what Keijzer is researching. “The more we understand about this disease, the better targeted therapies we can develop to treat it,” said Keijzer. Your support is important. One in five Albertans live with a lung disease such as asthma, lung cancer, and chronic obstructive pulmonary disease. The annual burden of lung disease is $12 billion in Canada. Without answers, it’s predicted that figure could double by 2030. Research can help this trend. Please continue to support this work so we can find new treatments and cures for those living with lung disease. Then we can all breathe easier. For more information on how your donations help with research, give us a call at 1-888-566-5864. Sharla Ozeroff, an Edmonton mother of four young children, admits she has a hard time sleeping at night. Her playful 18-month old daughter, Luna, had to endure extremely difficult breathing challenges ever since she was born. The young girl has a very rare lung disease known as congenital lobar emphysema — an illness that causes Luna’s upper left lobe and middle right lobe of her lungs to be overinflated, making it difficult for her to breathe. Air that is breathed into the lungs gets trapped, causing the over-inflation of the lungs. Congenital lobar emphysema is rare, but the condition usually affects only one lobe of the lungs. But in Luna’s case, her condition affects both of her lobes — something that is only reported in five per cent of cases. Luna’s challenges began one hour after she was born, according to her mother. Luna, Ozeroff’s youngest daughter, was born after a “completely uncomplicated pregnancy,” but roughly one hour after the birth, Luna went into respiratory distress, said her mother. Doctors were able to reduce Luna’s symptoms temporarily and after a five-day stay in hospital, the family was sent home. However, when Luna was two-months old, Ozeroff said during a nap she discovered her baby girl’s skin was grey and her lips were blue. Luna was then rushed to the hospital where doctors resuscitated her and found out her oxygen levels were extremely low. Luna stayed in hospital on oxygen for a week and was released. However, two months later, Luna was once again admitted to Hospital, and that’s when doctors discovered Luna’s condition was worse than originally thought. “The alarm bells started going off,” said Ozeroff. Doctors found her trachea was bent off to one side and her left upper lobe of her lungs was so large, it was pushing vital organs over, putting pressure on her heart. A CT scan also showed her condition included the swelling of her middle left lobe. Luna is now on medication to treat her illness and had a lobectomy on her upper left lobe when she was six months old. However, because of her surgery, surgeons can’t treat her condition that affects her right lobe because of complications with the surgery on her left lobe. Ozeroff says her family has to endure a lot of uncertainty that includes many trips to the hospital, including seven emergency visits in one month during November 2015 for baby Luna. The Lung Association, Alberta & NWT needs your help to make a difference for Luna and the many other children suffering from lung disease. Your donations today will help researchers make a difference for families like the Ozeroffs. Help us find better treatments and cures for children like Luna, give to The Lung Association today. A group of local barrel racers have helped raise $6,500 for lung health research to remember a passionate rodeo volunteer who gave so much to the sport. 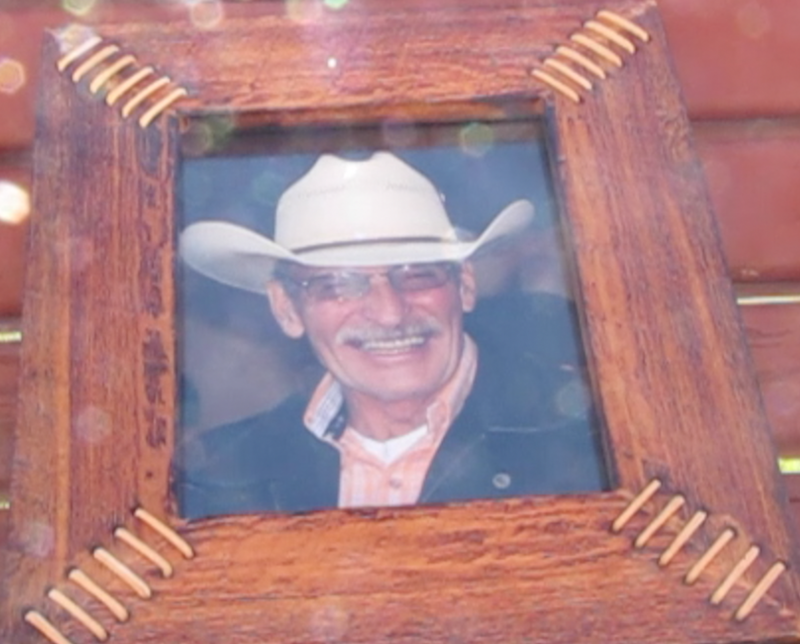 Lyle Norn, a volunteer at Ponoka Stampede grounds, died in February from chronic obstructive pulmonary disease (COPD) at the age of 67. In order to remember the well-like volunteer, his granddaughter and a few of her friends and family started a barrel racing series to raise funds for The Lung Association, Alberta & NWT (“TLA”). The group held the first ever Lyle Norn Memorial Barrel Race Series race on May 14 and held the event every Wednesday at in Ponoka for six straight weeks. Money raised through door prizes and concession sales during each race will help pay for vital research programs that could help find a cure or a new treatment for lung diseases like COPD — an illness that has killed more Canadian women than breast cancer since 2009. “During our races, he was always there to help — he was always our tractor guy (during every barrel race). He would drop anything to come and help you,” said Norn’s granddaughter, Kaylee Jo Henkelman, a barrel racer in Ponoka. Shayna Dodds, another organizer for the event, says barrel racers in the community wanted to also raise awareness about COPD. “So many people here came together to honour a man so lived and recognized both in the rodeo community and here in his hometown,” said Dodds. Henkleman says the local barrel racing community will make the Lyle Norn Memorial Barrel Racing Series an annual tradition every spring. “We are so thankful for the local barrel racing community to raise these funds that will be used to help advance research into lung disease because we are all powered by breathing,” said Kathleen Badry, TLA’s development coordinator. Looking for ways to raise money for important lung health research programs or support programs offered by TLA? Click here to learn more about how you can hold your own fundraiser in your community?